A video on social media allegedly shows members referring to picking cotton. A fraternity at the University of Georgia has been suspended after video allegedly showing members whipping someone and referring to them picking cotton surfaced on social media. Georgia's chapter of Tau Kappa Epsilon was suspended by the national chapter and the video was condemned by the university. The frat also announced it had expelled four members who were involved in the video on Saturday. "Tau Kappa Epsilon is disgusted, appalled and angered by the remarks shown in the video," the national chapter said in a statement. "TKE does not condone or support any actions by its members that would be defined as racist, discriminatory, and/or offensive. "Since 1899, our fraternity has taken much pride in the diversity and uniqueness of our membership," the statement continued. "Tau Kappa Epsilon has never had an exclusionary clause in our membership. Our founders believed, as we do today, in the personal worth and character of the individual, not his wealth, rank, or honor." 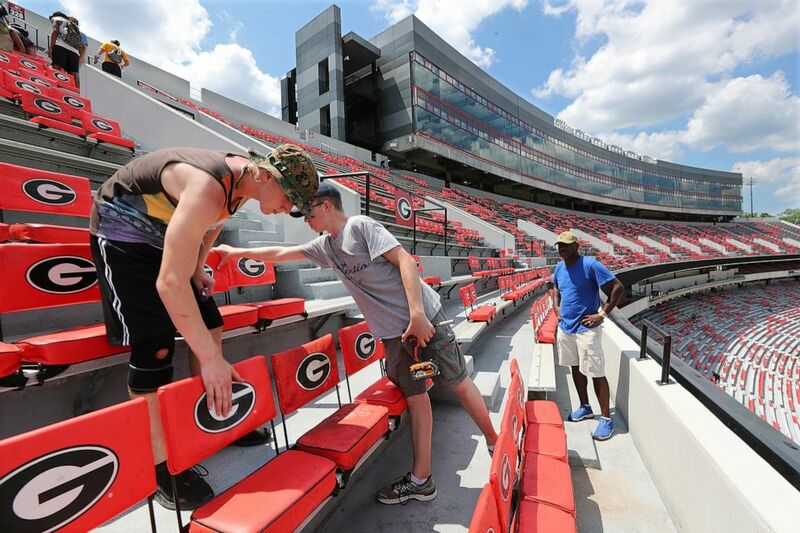 (AP) The home of the Georgia Bulldogs, Sanford Stadium, seen in a file photo from Sunday, Aug. 20, 2017. The video, which has circulated on social media at the school, shows a member of the fraternity lightly hitting another with a belt and saying, "Pick my cotton, b----." The person being hit responds, "I'm not black." Another person in the room says, "You're not using the right words," to which the member with the belt says, "Pick my cotton, n-----." The school chapter said the video was not filmed during an official fraternity function and did not take place on the chapter's premises. It referred to the video as "racist," "discriminatory" and "offensive." 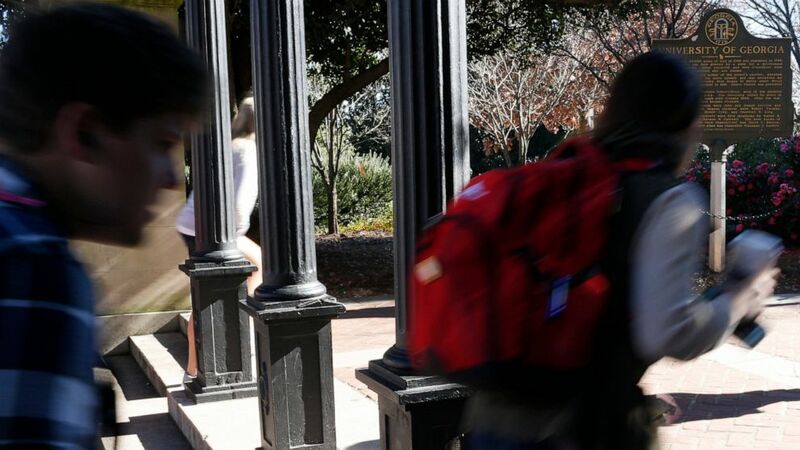 (AP) In this Jan. 9, 2019, file photo University of Georgia undergraduate students avoid walking under the university arch on the first day of the spring semester in Athens, Ga.
"The University of Georgia condemns racism in the strongest terms," the school said in a statement. "Racism has no place on our campus. We will continue our efforts to promote a welcoming and supportive learning environment for our students, faculty and staff. "The fraternity has been suspended by its national organization," it continued. "Whenever we receive complaints of racist or discriminatory conduct, we refer such matters to our Equal Opportunity Office in accordance with applicable laws and policies." ABC News' Chris Donato contributed to this report.